Good morning (or evening… or midday…) lovely people! I hope you had a fabulous weekend. I’ve got a HUGE day planned with the launch of Create & Thrive today – so exciting to finally be getting it underway! So, let’s jump into this week’s special. 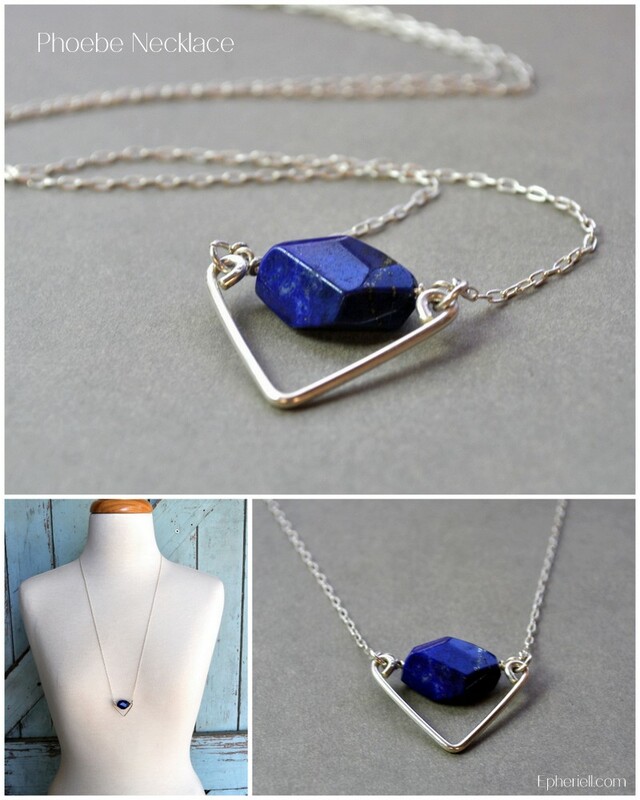 The Phoebe Necklace features a stunning natural Afghani lapis lazuli nugget – true cobalt blue with flecks of pyrite – suspended on a sterling silver chain with a chevron accent. You can choose either an 18-inch (standard) or 28 inch (long) length for your necklace. This week only, the Phoebe Necklace is $15 off the regular price.